This graphic novel has been in my wishlist for quite sometime. Out of the blue I found it at Gramedia Grand Indonesia with 25% discount, what a gift! Just found out that Gramedia GI would move all their books collections, DVDs, stationery and the like into one floor only. Yes, no more spacious bookshop that usually makes me spending almost the whole day there. I checked the new place, it's totally a mess. So many books and lots of other stuff but very limited space. I felt like I trapped in a warehouse instead of wandered in a bookshop. Since then, I have never been there again, hopefully the bookshop condition is better now. Nevertheless Gramedia GI is one of my favorite bookshops. Let's get back to this unique autobiography. What's so special about this book? It's the author true story that she shares through beautiful illustration. Raina Telgemeier tells about her life from middle school through high school. It's not an ordinary tale since in her pre-teen years, she suffered a serious mouth injury that required several years of dental and orthodontic surgery. Some people say that the teen period is one of the glorious moment. There you'll deal with boys, girls, first love, problems with teachers and friends, prom nights, and many more. This is actually what happens to Raina. But since her dental drama, she gets many frustrating experiences. Yes, it's a long and tiring journey with on-again, off-again braces, surgery, embarrassing headgear and even a retainer with fake teeth attached. This whole dental issue make her friends tease her. On top of that, she also worries about the erthquake, boys and friends that turn out to be not so nice. A fun tale about dealing with middle school that can be enjoyed in a few hours. Funny, sad, touching and very moving. I highly recommend this graphic diary for all teenagers out there. It's inspiring yet entertaining. 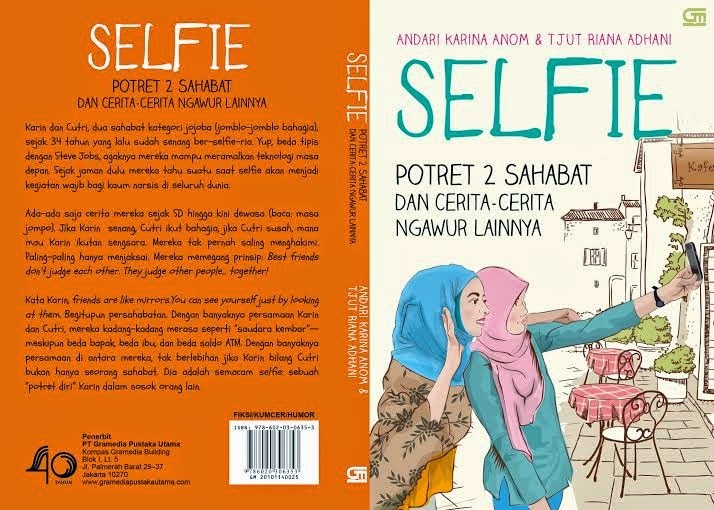 @mia: iya, menurutku salah satu autobiografi terbaik, simple tapi sarat makna.